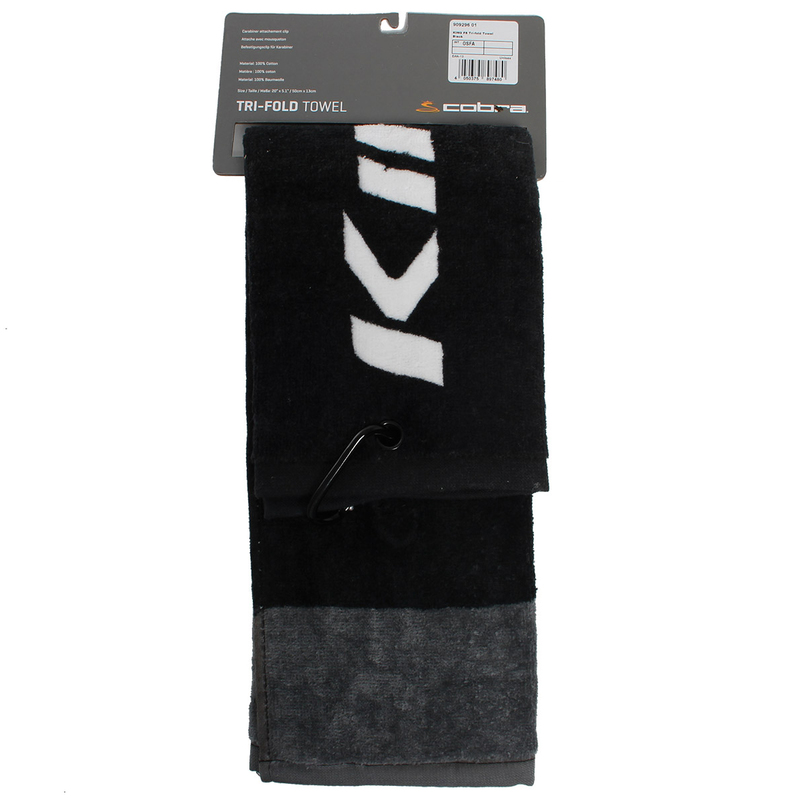 This convenient space saving towel has a tri-fold design and plush material, to take up less room on your golf bag. 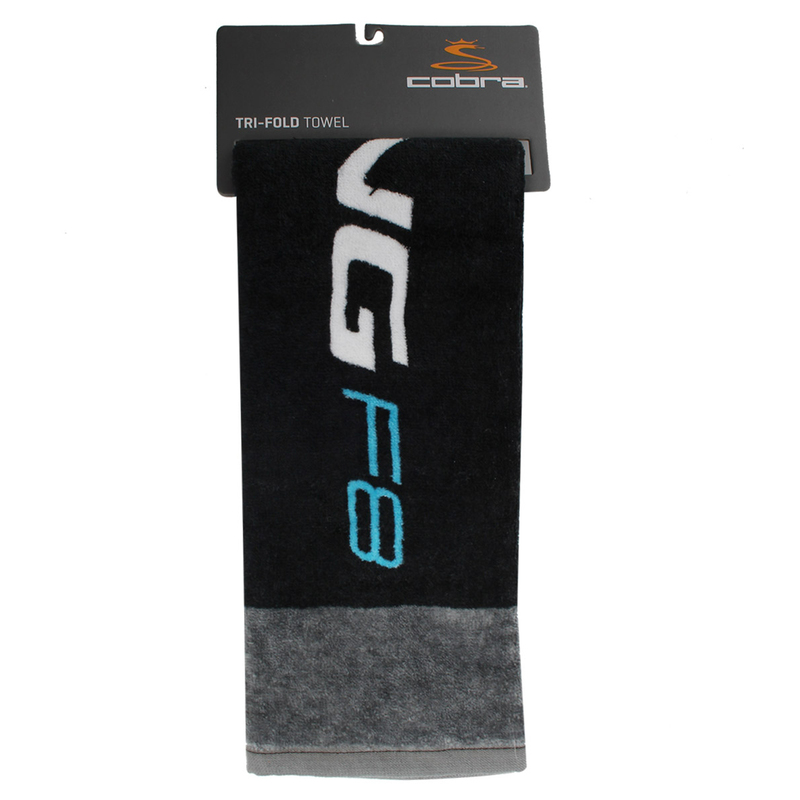 To care for your expensive golf equipment, the towel has a 100% cotton material, which is soft and highly absorbent to ensure your clubs/hands, are dry and clean for your next shot. 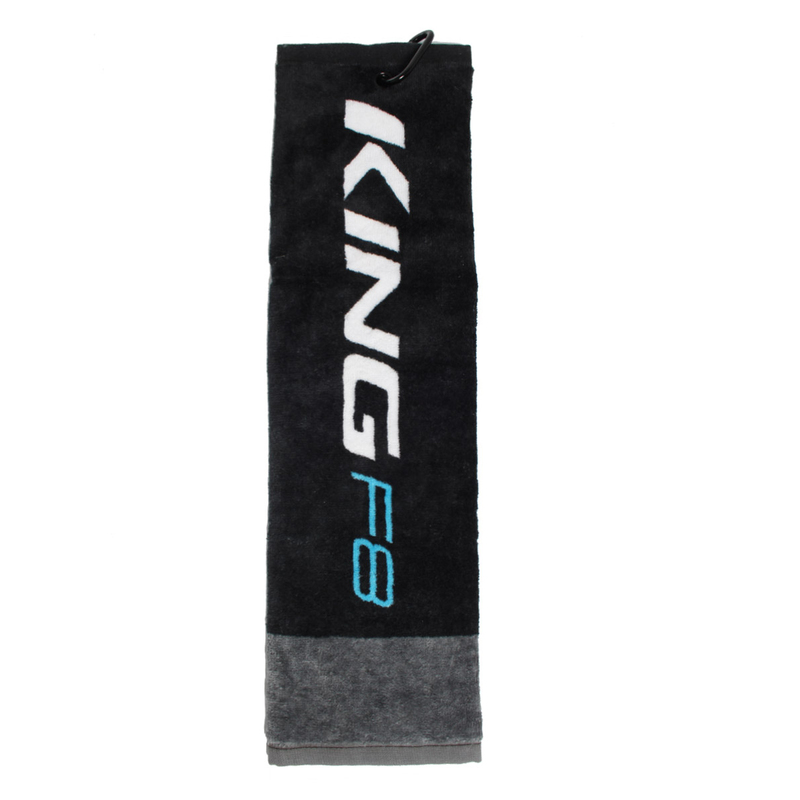 The towel has a carabiner clip to attach to your golf bag, and has King F8 branding.